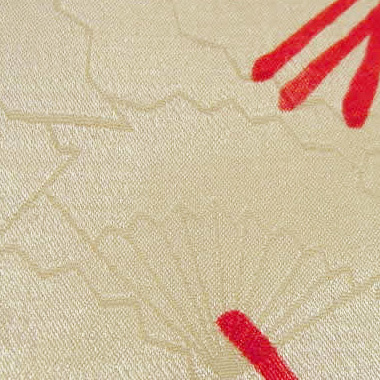 Estimated to be from the 1930s - 1940s, this creamy silk haori has a gorgeous fan-pattern woven into its silk jacquard shell. 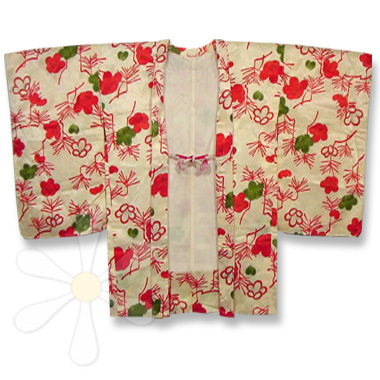 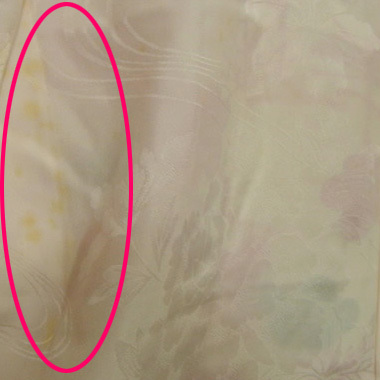 Katagami patterns of sakura -- plum or cherry blossoms -- and stylized pine trees are dyed on top. 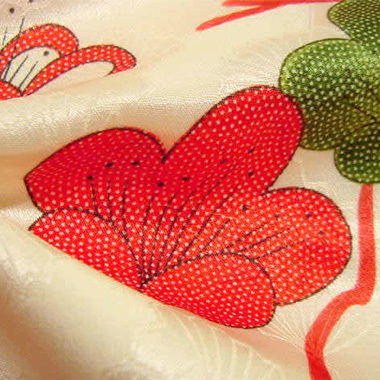 The silk lining is a white-on-white damask in swirling floral abstract.